What are vertical body proportions? Let’s talk about body proportion. I had a discussion with someone yesterday about what is included in the torso and what it means to have a long or short torso! When you start questioning what sentences like ‘proportionably longer torso than legs’ it gets you thinking, what does this really mean?!! In art the body is usually measured in heads. So you are measuring the body with the size of it’s own head. On average these days the body measures about 8 heads (including the head!). The torso is the body not including limbs, neck or head. The torso (including the neck) generally measures 3 heads and the legs (including feet) measures 4 heads. Longer torso and shorter legs – your torso measure longer than 3 heads and your legs measure less than 4 heads. Shorter torso and longer legs – your torso measures less than 3 heads and your legs measure more than 4 heads. 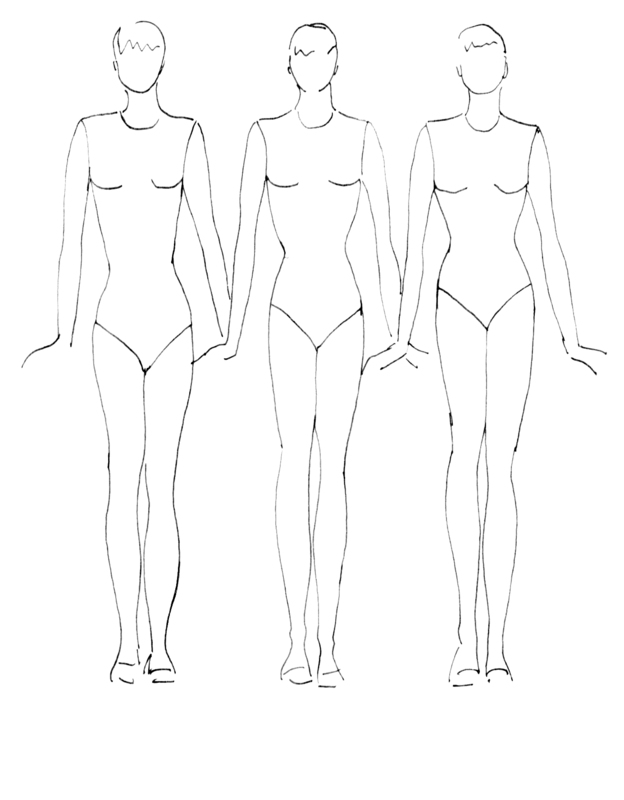 See the diagram: The centre person is Miss Average with the 3 to 4 head, torso to leg ratio. On the left is the longer torso and shorter legs and on the right you have the shorter torso and longer legs. All three are the same height and it is just the body ratios that change. Categories: Creating your Professional Image, Outfit Styling | Tags: body, legs, long, Proportion, short, torso | Permalink.